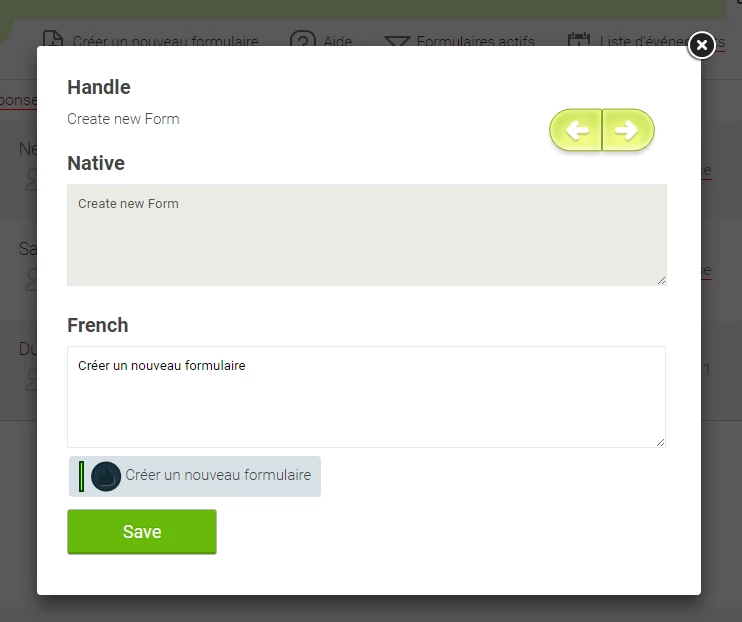 Adding your translation suggestions to Nest Forms. We have been adding language variations for the last two years depending on client requirements, however because Nest Forms is constantly, there may be new language requirements that are not translated to your language. If this is the case, we have provided a facility to assist us in addressing your needs. Follow the instructions below and let us know if you have made any changes and once we have reviewed them, we will add them either to the next app update or to the site when they are approved. Most clients are interested primarily in the Translations within the app. If you have translated more than 50 text fields, do let us know and we will give you a 25% discount for 4 months as a way of saying thank you. If you want to have the Nest Forms app translated to your language, you can easily help suggest translations and we will apply them into the next app release. And then choose your language in the first dropdown and click to Translate Now. You will see a list of the translations that are needed within the app, so you can add your suggestions here within your chosen language. There is also a set of short help instructions on how to use the page at the end of the page if you are unsure. Please save your page regularly to avoid losing any changes you have made with the save button at the end of the page. You might see some previous translations suggested by other Nest Forms clients. So please review those and if you agree with this translation, just click to it as a vote that the translation is correct. Otherwise you can suggest your own text, just remember to keep it short and simple. Then when you visit any page in the website, you will see several text fields in the website underlined with a red line. These are the text fields that you can translate into your own language. Just click to one of them and then click left or right and you will be given all the text fields that can be translated on this page.